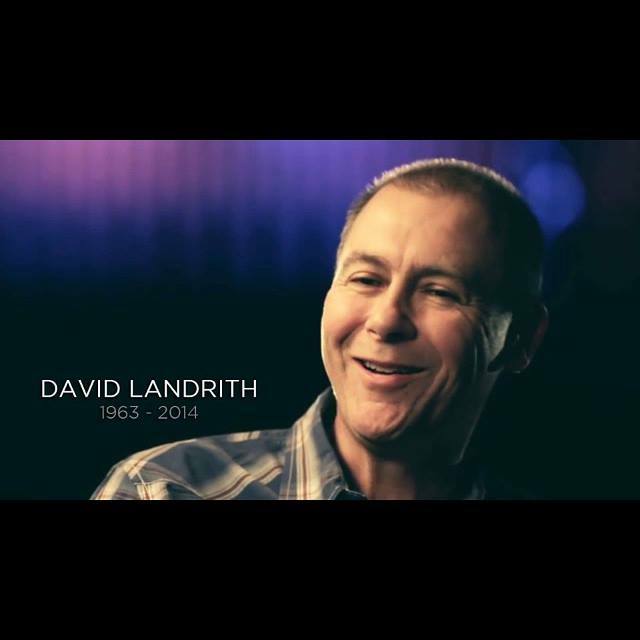 A cold, somber and quiet morning as our entire church family and community and missions and churches from around the world are feeling the loss of our precious Pastor David Landrith. Today is the day we will celebrate his life and his legacy at the HOME-GOING at Long Hollow Church in Hendersonville, TN. What an incredible, funny, passionate, loving, understanding and determined man David was and he loved his kids, his wife and church family so much. You will be missed greatly Pastor David, but we know you are no longer in pain, no more surgeries, no more tests, no more tears: only dancing and singing and rejoicing in the presence of Father God, Jesus and the angels. We will see you again! When death visits, stealing someone’s life from us; it is only natural to feel loss, sadness, shock and disappointment in that a part deep within our being has been ripped away. What we are left with is a huge, gaping hole where that person once filled the spot. But what we must remember, is that person never belonged to us in the first place. They belonged to God. We never owned them like we own a house or car or property. Even our children don’t belong to us, they may exist through us, however they belong to God. We are given, yes given a gift of having them share a sliver of their life with us. They shared a brief moment of their existence with us, sharing space here on earth, capturing a place in our heart, bringing their love, their light and their joy into our lives. The great sadness we feel is not for them, but for ourselves. The thought and reality sets in that we won’t be able to look into their light filled eyes, seeing deep into their soul, hold them in our arms, kiss their forehead and cheek, smell their unique smell, whisper “I love you” in their ear, talk with them and hear their voice and laughter ever again. That is why we weep, that is why we grieve. For whatever reason, we must release them and let them go to their eternal home; for their mission, their work and purpose for being born is completed. It is their time to return to their Father. So find comfort, be at peace and let the sweet Holy Spirit embrace you and bring healing to the brokenness in your spirit. Know that they are well and they will be waiting for you in eternity. I do believe without a doubt, there is life after death. There is a Heavenly Father that loves you and me, He is waiting patiently for us to turn our hearts and lives toward Him. When we take our last breath here on earth, our next is inhaled in the presence of God our Father and our Savior and Big Brother Jesus Christ. Leaving here is simply a transition to another realm of existence in Heaven. Heaven, my friends is for real! What a day of rejoicing and celebration that will be, when we fall asleep here and awaken for all eternity there and are welcomed by all our loved ones, our generations back as far as can be and friends we loved and said good-bye to here on earth. Talk about a FAMILY REUNION!!!!!! For those of us here today that awakened with breath in our lungs and a heart that is beating and pumping life through our bodies; let us love on the people we cherish a little more, kiss your love a little longer, tell the special people in your life how you feel about them, let them know how special they are to you and just how different your life would be if they were not in it with you. Smile a little bigger, be a little friendlier, a little nicer, a little more kind and generous. Be a little more gracious, a little more merciful, understanding and forgiving. Be a little more grateful, say, “Thank-You” a little more often. Say what you still need to say, do what you need to do, finish what is incomplete in your life; for we never know when they will be called home because their work is finished on earth nor when your time is up.Be loving! All of these are the ways we love and show love. Love is not love until it is shared and given away. Love never, ever, no never fails! Have a good day, purpose in your heart to leave nothing undone!